This is one study that all parents (and all people in general, really) need to check out! 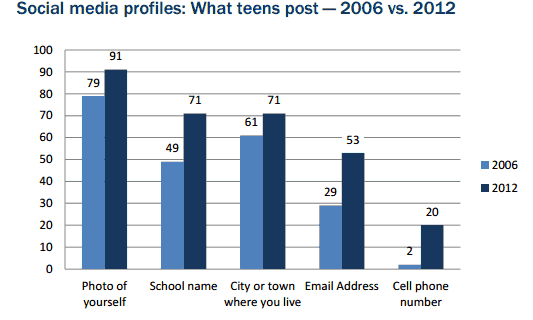 It is all about teens, social media and privacy and has great facts on what teens post, what social media sites they use the most, what areas they are concerned about while online, and much more. This study is full of great information. The more you know, the better equipped you will be to keep your kid's safe! Check out the full study, done by the Pew Research Center, here.